The capital of Oregon is . . .
Drew and I are heading to the west coast for a short vacation. His will be shorter than mine. I’ll get to spend the days wandering around Seattle alone while he puts in a few work days. Now I remember what I forgot — go to library and check out some travel books on Seattle and Portland (OR.) Any suggestions? Still time, think I’ll run off when I finish this. Have to get this post done early. Tonight is the Bright Eyes concert at Radio City Music Hall and barring a major tornado, flood, or LIRR malfunction, we should be there — sitting a row or two behind Josh and friend. I hope they will be on their best behavior. I’ll have my camera with me. So where was I? Ah, yes, Seattle. Going to spend some time there and then rent a car and head to Portland, OR. Never made it Seattle and I don’t think I was in Portland. I drove up the coast and then over through Spokane — that was in 1976. And I think I was in Spokane on July 4, 1976. Parades, fireworks, yup, I’m sure of it now. Did you know that Portland,Oregon is one of the top 5 best places to live and/or retire? So this morning Drew and I were talking about where to go, what to do, and he said, “We could go to Eugene, sounds like there’s a lot to do there. 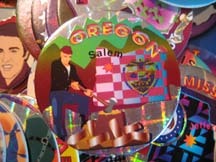 Isn’t that the capital of Oregon. ?” “Could be, how should I know?” I respond. 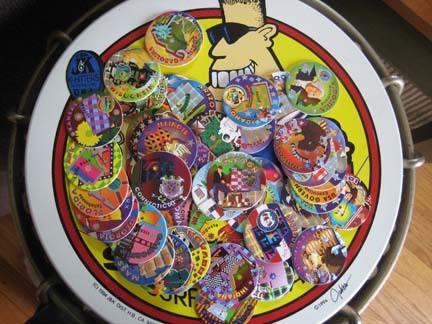 “I thought you knew all the capitals?” And that’s when I thought of the hours and hours I spent playing pogs with the girls when they had to memorize all the state capitals. I did pretty good back then. But this is now.